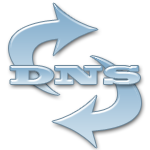 Your DNS cache stores IP addresses of webservers. These servers have delivered pages which you and others have recently viewed. If the location of the web server changes for any reason before the entry in your DNS cache automatically updates, you will find yourself unable to access the website. You may also see a lot of 404 error codes, which generally happens when your DNS cache is messed up. This is particularly prevalent for Webmasters who are setting up a new website and suddenly get presented with an old page or no page at all. Often it is visble on another computer or mobile phone which makes it even more frustrating. By clearing this DNS cache, your computer will then re-query the nameservers for the new DNS information. Pay attention to the space between the g and the forward slash. Close the command window and retry your browser. Please note that for this to work you require the Admin account password. Close the terminal window and retry your browser. That’s it and you should now be able to fire up your browser and get a fresh version of the page. Do you want a free licensed version of Adobe Photoshop, Illustrator, Premiere, InDesign, Acrobat, Audition, GoLive, Acrobat, InCopy, or Elements? Well Adobe have done a very strange thing and put direct download links to the CS2 versions of this excellent software online WITH the activation serial key. Why would they do that I hear you ask? Well apparently Adobe have problems with their licensing server and older software is not validating correctly. To combat this and in a gesture of goodwill (or long-term customer baiting) they are making older versions like CS2 run, without requiring validation, on these keys. 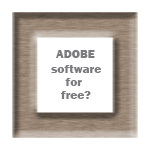 So why give away Adobe CS2 for free? Supposedly, these licences are for existing customers, although the software is now coming up to 8 years old so it would be understandable if it was given away to tempt people to upgrade to later versions. Because of the high prices that Adobe has previously charged for this software, my guess is that it would possibly be perceived as putting a finger up to previous customers who bought this suite if they released it free of charge. Hence some mystery surrounds this ultra discreet release of serials and downloads. I’d recommend that you go for the complete CS2 download listed at the start as it contains all the individual software programs. If you manage to get a copy and install it, please let me and others know what operating system you’re running it on by dropping a quick comment below. A pair of dissatisfied customers have filed a class action lawsuit against Apple. This is because of signal reception problems in the iPhone 4. More will doubtless follow. Since the arrival of the latest iPhone Apple’s new baby has been plagued with reports of reception problems. Apple has even made the terrible mistake of telling users to hold the device differently…..OOPS! Under the sale of goods act, customers left with a device that cannot be used for its intended purpose are entitled to a full refund. Kevin McCaffery and Linda Wrinn from Maryland USA filed the complaint against Apple and also AT&T. They accuse the firms of negligence, defective design and manufacture, breach of warranty, fraud by concealment and deceptive trade practices. Unlike the US, Apple stores in the UK do not charge a restocking fee and the filing states that the plaintiffs have been “unable to return the phone without incurring a substantial restocking fee”. Bad publicity like this often hurts sales and the US media have been quick to pickup on this. I’d love to see the iPhone 4 with its bugs ironed out as quickly as possible as it is making goood headway in innovation, design and style for the mobile market. As usual, it’s the early adopters getting their fingers burnt…..
Can I install OEM software on Mac Boot Camp or Virtual Machine? Well, it seems there are lots of people asking about this installing OEM Windows software on Mac desktops and laptops. This is a grey area that I’d like to clear up (or make slightly off-white). I’ll present the facts and you can make your own decision. OEM versions are, in theory, to be used by system builders. It is generally accepted now, although unwritten, that people can readily purchase these and install them. Just look at the plentiful supplies on major ecommerce sites and you’ll see that the OEM software is not just for system builders. Effectively, someone who installs an operating system on a PC is doing the job of a system builder, it’s just the component assembly part they are missing, and many system builders actually buy whole machines now anyway. The thing to note with OEM software, is that if your computer dials out for licence verification then it needs to be installed on just one piece of hardware to be classed as genuine. That’s the only check. Since Retail versions are much more expensive than OEM, people are naturally drawn to them. The differences in 32 and 64 bit operating system software can often be marginal unless you are really pushing the computer hard, but for a small price difference 64 is a better operating system when on full load. Many software programs are 32 bit so they don’t take advantage of the extra ‘word architecture’ but when you run something like Adobe Photoshop 64 bit that is resource-hungry, it can be noticeable. 2) OEM versions are tied to the hardware they are installed on and cannot be moved. This will only be an issue if you are planning on using virtualization software as well as your bootcamp (dual boot) installation, since the virtual machine “hardware” looks different to the real hardware. 3) OEM versions do not come with telephone support from MS, although if you try to talk to a Microsoft representative about issues you are getting on a Mac then you may be fighting a losing battle as they are known to pass them back to you. To summarise, I would go with an OEM dual-boot installation (64 bit if possible) OR run a virtual machine. You may even be able to run a cheaper XP licence as a virtual machine and this may suffice. If it is to run an older program such as MS Money this could work well as it may run more happily too. Drop me a comment below if this helped you or please click the social buttons to help others save a bit of money too. Open Kaspersky main window and select Settings > Application control > Applications. Expand the Apple branch by clicking on the plus next to it, then double click Itunes. Go to the Exclusions tab at the top and tick all boxes. Click on OK then click Apply and it should update without problems. Another option is to temporarily disable Kaspersky by right clicking the tray icon and selecting Disable protection. Importantly, check you are behind a hardware firewall first such as a router before disabling any firewall. You will find that similar firewall and internet security products can cause instability and errors when updating Apple’s iTunes. 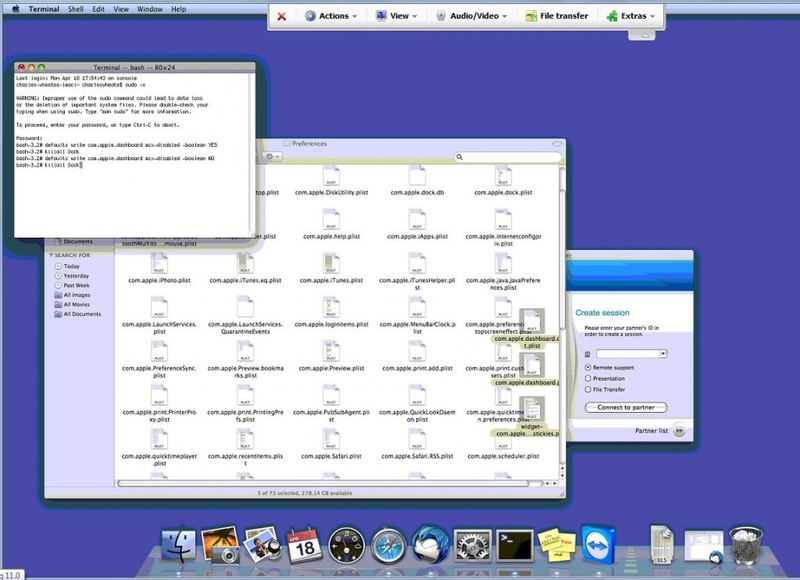 Mac OS X dashboard lost stickies – where is the backup? Lost your stickies on a Mac OS-X system? Scenario: You wipe and reload your Mac OS X only to find that the Stickies you had in the dashboard view have disappeared. I have just reinstated these for a client remotely via Team Viewer and this is the procedure I used. We’ll presume you have either a copy of your library folder or a Time Machine backup. Open Terminal from the Applications folder. The following is case-sensitive…. and press enter. This will prompt for the administrator password. Type in and press enter. Keep the terminal window open. Open Finder and navigate in your backup (eg Time Machine) to /YourUserFolder/Library/Preferences and find ALL files starting with “widget-com”, “com.apple.dashboard.plist” and “com.apple.dashboard.client.plist”. Drag these files to /Library/Preferences, making sure you copy and not move. I like to have 2 Finder windows open to do this. Mac sticky notes reinstated from backup! The dashboard should now be as it was before and your stickies should be reinstated. You can try this now, it shouldn’t need a restart. Interestingly, TeamViewer stayed connected all through for me, even when the dock was tampered with in Terminal. It also was quite impressive that this was cross-operating system. Here, a Windows 7 64-bit box was controlling a dual core iMac running OS X (Mac purists can throw up now), but a necessary evil as both our Mac rigs were occupied. I had mounted my backup external drive image of the client’s PC using HFS Explorer, a simple, small and free Windows program that reads HFS partitions, in this case MAC extended journaled. For real nerds, journaling accelerates the recovery time after any unexpected shutdown such as a power outage. A server automatically tracks file system operations and maintains a continuous record of these transactions in a separate file, called a journal. The o/s can use the journal to return the file system to a known state after any failure. Compare it to a Windows PC and the lengthy chkdsk /r command and it’s a much better system. Click here to see how to restore the MAC OS X sticky note data. This is for the standard sticky notes, not the dashboard versions. Wondering where your OSX sticky notes are stored? IMPORTANT. Click here if you want to backup and restore dashboard sticky note data as these are in a completely different path and require a different method. Many users have reported dropped calls on their iPhone either straight out of the box or after updating to the latest firmware. Apple have been improving their service worldwide but some carriers are still finding that their customers are a bit annoyed after spending all that money for something that doesn’t make phone calls…..
Test your iPhone signal reception with the “Field Test”. then press the Call button. You will see the Field Test main menu and some mumber indicating the strength of the signal (in decibels) where the graphical signal display once was. Note: the higher the number, the better – remember these are minus numbers so “-60” is better than “-80”. Note: On later iterations of the 3GS and iPhone 4, the Field Test does not work. Since the wired headphones supplied with the phone act as an antenna, wearing them can improve signal strength. It is them and not your head that are acting as an aerial (although much is still to be proven about the effects of mobile phones!). Sometimes you can visually see the signal jump up as you connect these. Turning off the 3G reception often helps signal strength. However, turning it on when you want to browse the Web is quite honestly a chore and some have even gone so far as to write an app to help make this a few taps instead of many. Hold your iPhone a certain way! The antennas for the iPhone are located at the bottom of the phone on the inside. By holding the bottom of the phone you obstruct the signal. Holding nearer the top or not at all can give a better signal strength. If all else fails, use the landline. Seriously though, come on Apple, the iPhone really is a beautiful gadget but spoilt by the irregular signal strength.